Machiavellian Leadership in Public Administration? A principal responsibility of the public manager is to develop and/or protect a desired organizational culture. The organizational culture constitutes the values and beliefs held by members of an organization that guide its members as they carry out the functions of the organization. For managers, establishing and emphasizing a positive organizational culture aligned with the established mission is an important tool for creating a positive leadership environment. The culture of an organization provides organizational members with a common identify and guide for their individual as well as collective actions. Organizational culture can be identified through an organizational vision, mission, values, both formal and informal, and internal rules and regulations. Very importantly it is reflected and reinforced through the informal and formal actions of managers within the organization. Effectiveness of an organization to accomplish its stated mission and vision is enhanced when the practiced actions of employees and managers parallels the formal stated values of the organization. The theme of this column is the field of public administration is in an era where the culture of the public organization as guided by an emerging element of our federal and state political leadership may be contrary to the complexity public managers confront in the 21st century organization. The danger this presents is that when public organizations are not structured and managed capably, the confidence held by the public with our institutions will deteriorate to an unsustainable level. General Stanley McChrystal and Chris Fussell in their books Team of Teams and One Mission detail the environment dominating the 21st century organization. It is recognized by unpredictability, multitude of interactions between the organization, its internal system components and other organizations within the system; one organization unable to successfully address emerging issues, non-linearity and exponential increase in speed of interactions, and, inability to fully identify and control outcomes. To be effective in this complex 21st century environment, public managers must establish a culture noted by trust, delegated authority, networked teams, open communications, embracing risk, collaboration and innovation. Instilling these cultural norms requires managers create adaptive organizations by decentralizing operations and authority. A dominant role for managers is to establish communication and decision systems that allow employees throughout the organization to independently make decisions that will carry forward the organizational mission. Unfortunately, public administration is now operating in an ideological era which has given birth to strong countervailing forces that by design will obstruct a culture of openness and trust. At the federal level, and in several states, the political goal of “deconstructing “ the state has become the overriding focus of political leadership. As demonstrated at the federal level by the EPA, Department of State and Department of Interior, the formal agency mission is contradicted by an intended ideological goal to deconstruct the organizational infrastructure required to carry out the organizational mission. To effectuate agency deconstruction operational discretion is removed from career civil servants and decision making is centralized at the political level. To insure there is no deviation from the pursuit of ideological goals political leadership utilizes a Machiavellian management approach. This is aptly demonstrated by the Director of the Consumer Financial Protection Agency in removing career staff from agency policy decision process, by Presidential Advisor Jared Kushner engaging in diplomacy with the President of Mexico without including the U.S. Ambassador to Mexico who possesses over 30 years of experience in the region, by the EPA Administrator who is negating the formal mission of the EPA by sharply reducing pollution enforcement, emphasizing the needs of carbon industry and forcing the retirement of career science officials. The Machiavellian principles that dominate in the Trump administration run counter to the leadership and management principles taught in our schools of public administration. Such cultural principles of openness, delegation, consensus, diversity, trust, are replaced with power over, top down centralized decisionmaking, groupthink and ends justifying the means. The question posed to the field of public administration is how public managers should adapt when they operate in in an environment that is contrary to the principles in which they were trained? In an organization led by a Machiavellian manager how should those trained in servant and postmodern leadership function? Can the two opposing leadership styles function coterminously, or does the post-modern leadership need to give way to the Machiavellian style? A branch of this discussion should be addressed by our schools of public administration. 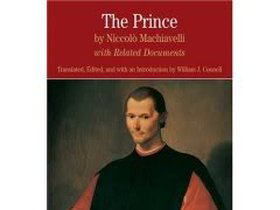 As the United States fragments into a tribal society, is the increasing use of Machiavellian leadership inevitable? What impact is Machiavellian leadership having on the culture and mission of our public organizations? Should inclusionary leadership e.g. servant and transformational leadership be a focus in our leadership curriculums? Should the curriculum taught at in our schools of public administration include a heavier emphasis on the principles of Machiavellian leadership? This column is a challenge to ASPA to organize a process charged with confirming the desired model for 21st century public leadership, and, to reconfirm the cultural values public administrators should strive to instill in the public organizations they lead.